I listened intently as the reporter recounted the most recent developments in the sport, which are not entirely positive. You see, this season, fights among drivers have become commonplace. The analyst suggested that the heightened level of aggression on the track reflects the new winner-take-all structure for awarding points and a season championship. In the past, consistent performance was valued at least as much as an all-out win. 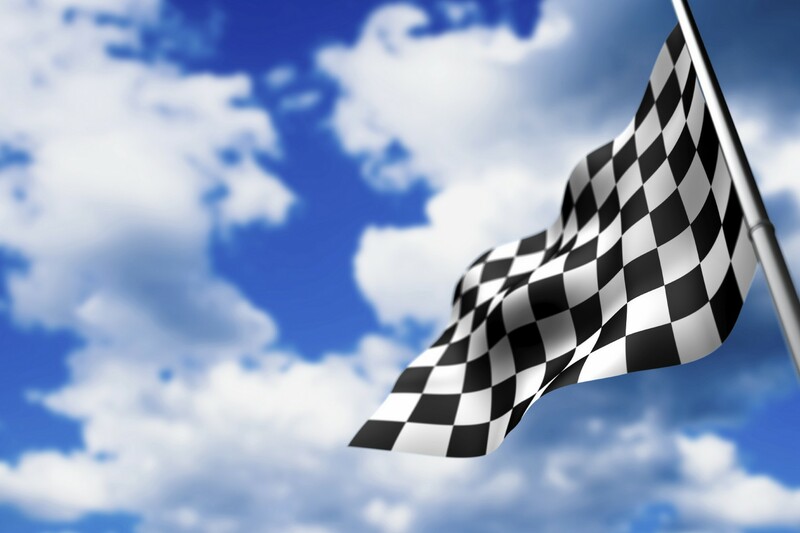 Now, it’s all about who claims the checkered flag. Second is for losers. And that means that drivers take more chances, vying for position as the race comes to a close. They willingly risk a wreck for the promise of moving up a single position in the final results. What really grabbed me about the story was the reporter’s observation that NASCAR has finally taken the step that makes it look like most other professional sports, tallying wins and losses and not much more in naming champions. It struck me in that moment in my driveway that the current, horse-race emphasis on winners and losers might just as easily be applied to much of the prevailing approach in education policy and the conventional wisdom on college admissions. Somehow, it has become easier for many folks to disregard measures of steady progress, consistent performance, and individual growth and reduce our kids to a slate of numbers that further predicate their chances for post-graduate success. Granted, at CSD that’s not the case, but it sure takes work on a daily basis to keep pushing back the tide. Here’s why we fight against that tendency with all the strength and intellect we have: no part of our experience with students suggests that we must or should settle for subjecting them to winner-take-all simplicity. For if we do, what is the point of learning? Either you get it, or you don’t. There’s no reason to practice how to develop and refine ideas when we submit to a sort of Hunger Games mentality about the way the world should work. And in that approach we are encouraging our children to wager everything on one-shot gambles, rather than teaching them the value of hard work, thoughtful analysis, and experience. Just before Thanksgiving, a small group of high-achieving students approached Joy and me with a request to fund a trip to a three-day Model UN program at Duke this coming spring. The students had carefully weighed the clear benefits of participating in the program, but they’d fallen a little short in analyzing the relative cost of sending them, particularly as it relates to the range of other expenses student government incurs. In response, Joy and I asked the students to recommend how we might prioritize budgets for student activities and charged student government with the responsibility for making the recommendations and helping us manage the student activities budget. Not at all the answer our students had initially sought. After all, how much simpler would it have been for the kids to get a “yes” or “no” and move on to adding the experience to their portfolios (arguably a win on the scorecard) or complaining about missing the opportunity? And yet, after spending an hour in conversation with Joy and me the student who had brought the initial request had reviewed the structure of the school budget with us, asked lots of questions, and walked away with a plan to build a similar budgeting process for student government and student activity fees. The students may yet get to attend Model UN, but I’d argue that either way they will have learned more about managing finances, making proposals, and setting policy from the real-world responsibility we offered them than they will in a month of Model UN simulations. A few days later, our 9th graders gathered in the Arts Commons to stage the 5th Annual Alternative Gift Fair. The event raises a small sum on behalf of a number of local nonprofit organizations each year, but more importantly it closes the circle on a relationship our students begin in 8th grade with the organizations through Practicum. Where the relationship begins with our students asking much of the organizations–opportunities for service work and the guidance of experienced mentors–it evolves in 9th grade with students making the case to potential donors. What’s truly remarkable is that the students transform the Arts Commons in a single hour on a Friday into a festival that celebrates the work of the organizations they represent. That these 14- and 15-year olds also raise upwards of $3,000 over the course of 5 hours is impressive. Still, the bump each organization’s budget receives from the its share of the proceeds each year is minimal. So why do we do it? Each year experiences like the Alternative Gift Fair give our students important practice in putting words to their thoughts, actions to their words, and meaning to their actions. It’s no accident that visitors to our high school so frequently comment on our students’ considerable ability to hold their own in conversation. They exhibit the confidence that comes from learning how to conceptualize abstract ideas. They rely on the experience they’ve acquired in looking at a problem from all sides and explaining it to others. And, they willingly embrace a challenge, knowing that hard work and perseverance trump chance fortune. That’s a win not easily quantified but the returns it offers our students now and well into their futures makes the investment well worth it. So, back to NASCAR and post-graduate success. The College Board organization, most highly paid college planning consultants, and many of the colleges and universities themselves want very much to convince you that the admissions game is key and to the victor go the spoils. Test scores, AP courses, GPA become a series of points to be tallied and wins to be recorded. And while that notion is at best debatable (see NYT, 11/30/14), its relevance as a measure of post-graduate success is even shakier. What matters far more is a student’s staying power, especially when you consider that half of all first-year college students don’t manage to stick around long enough to graduate. Creative problem-solving, confidence in communicating with peers and professors, and resilience come in handy in that game. And you don’t grab those qualities in a one and done gambit. You learn them.